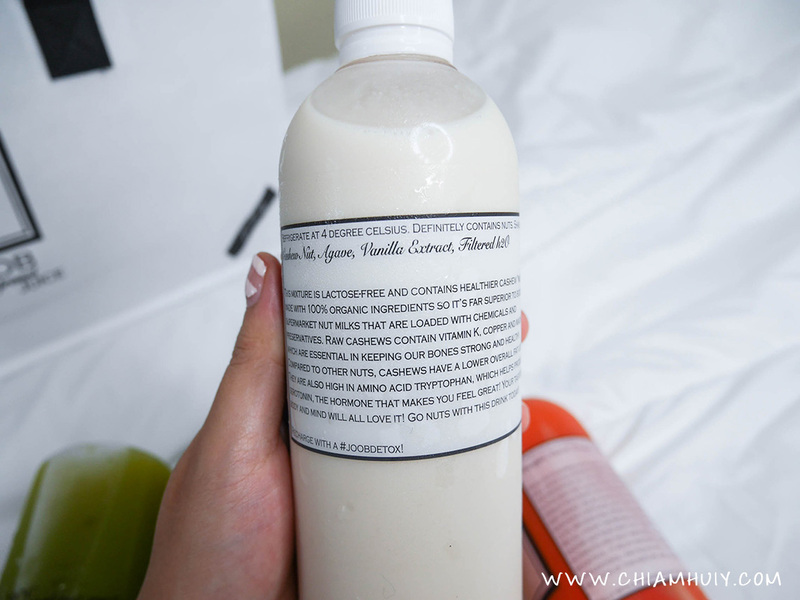 A quick introduction about the juices that i've been getting my supplies from. Joob Juice believes in the powerful benefits of juicing and only uses 100% organic ingredients. They have opened a shop right in the heart of CBD on 3 Pickering Street, Nankin Row, 01-43 (surrounded by China Square, Far East Square and Hong Lim Complex), so that you have the convenience of grabbing a bottle on the go. You can also get a chance to see the whole process of their production! I opted for the three-day juice cleanse since I am a first timer. The three-day juice cleanse is designed for giving the digestive system a vacation from processed foods and refined sugars. 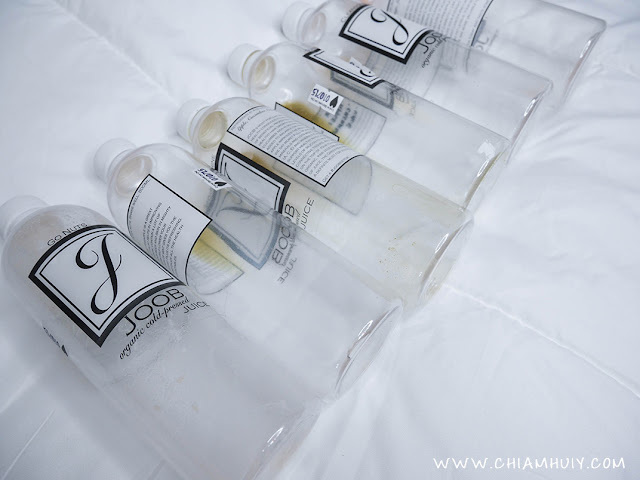 With this cleanse the odd gets a chance to irrigate toxins and rejuvenate the colon. 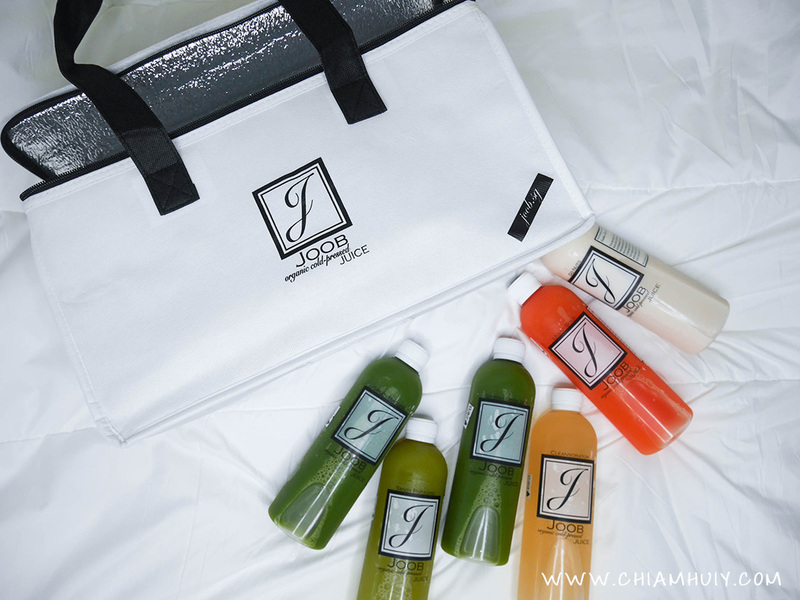 A three-day juice cleanse consists 18 bottles of juices in a cooler bag and ice packs for additional protection. 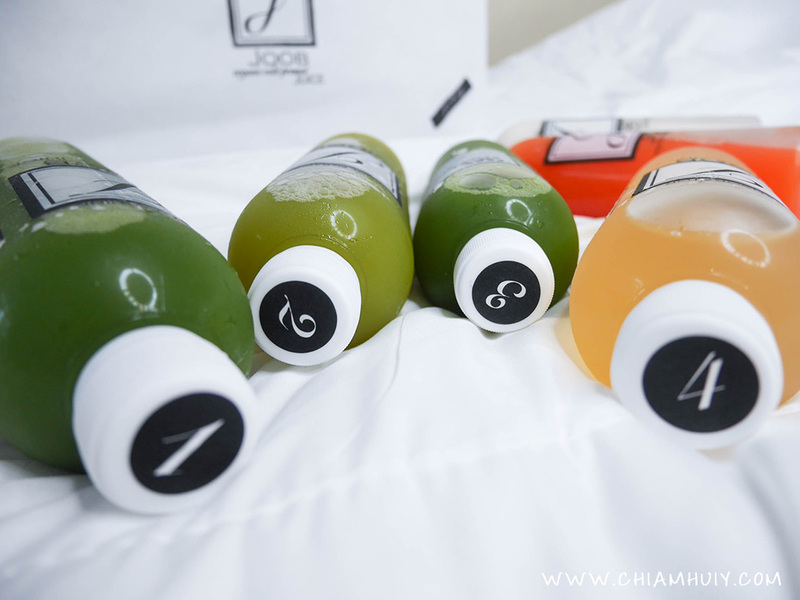 The following flavours of juices will be included ( The Green Machine, Tangy Paradise, Cleansorater, Immunity Booster, Go Nuts ). My favourite is actually the Tangy Paradise! Each delivery comes in a nice cooler bag. 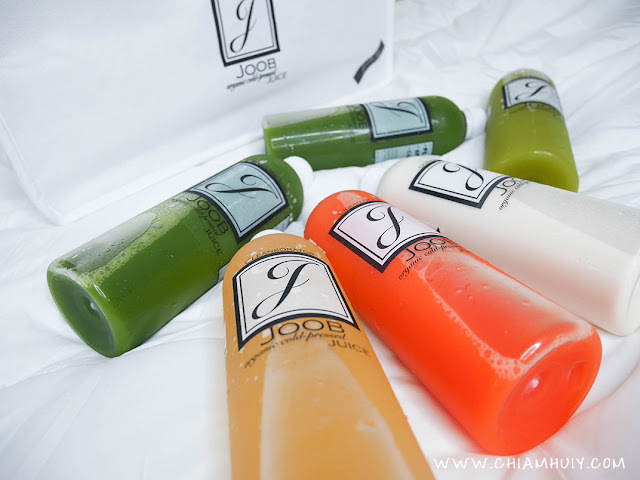 To make sure juices are fresh when consumed, Joob Juice actually separate delivery into two: First two days' juices on day 0 night and third day's juices on second night. Now you can tell a more obvious difference from the side view. 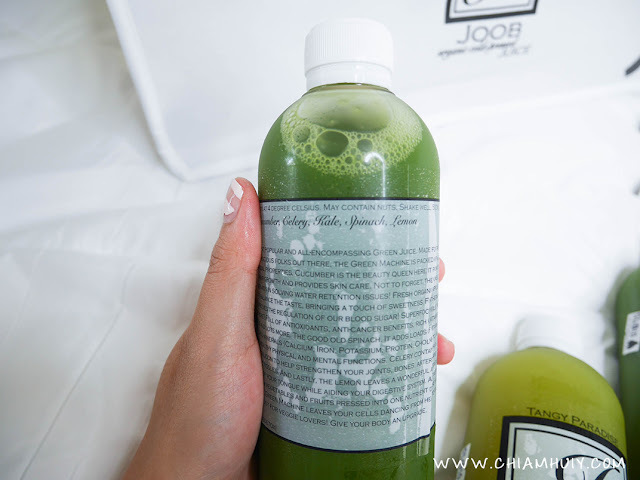 I realise juice cleansing really helps with debloating and perhaps detoxing as well. 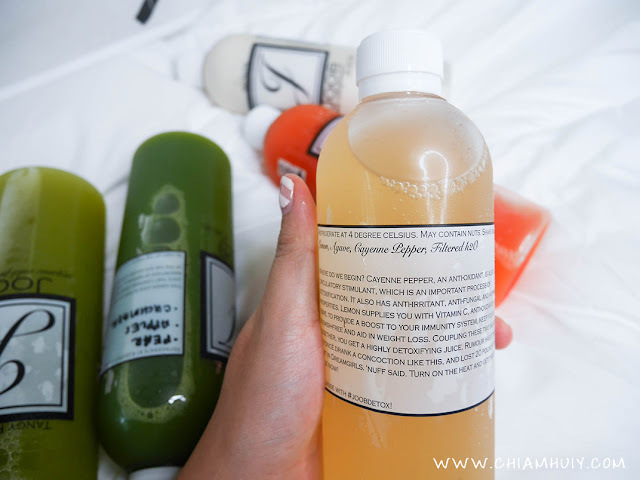 I have to admit juice cleansing is not easy and should be taken very slowly and easily. 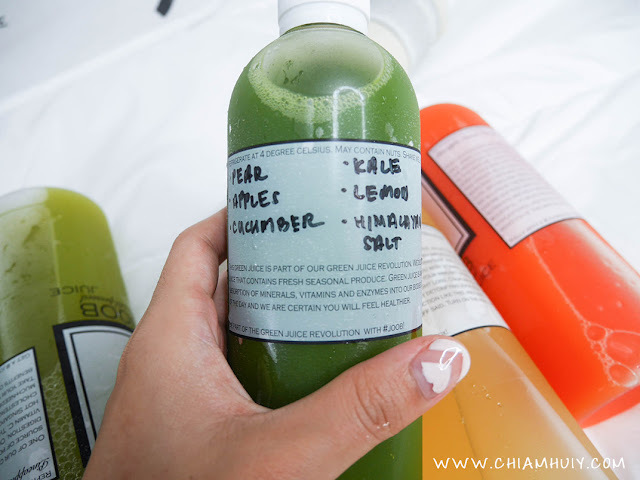 One word of advice for me: you can try juice cleansing but not totally cut down on food or soups. Perhaps you can start slow with replacing your meals with the juice cleanse drinks, but still eat some fruits or healthy snacks if hunger kicks in. Ultimately, you know your body best! 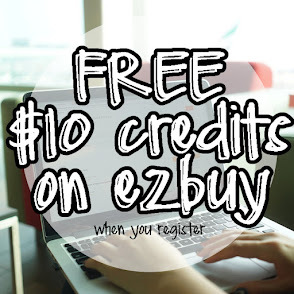 For more information, visit http://www.joob.sg/.